Looking for a fresh place to set that morning cup of coffee before your day starts? 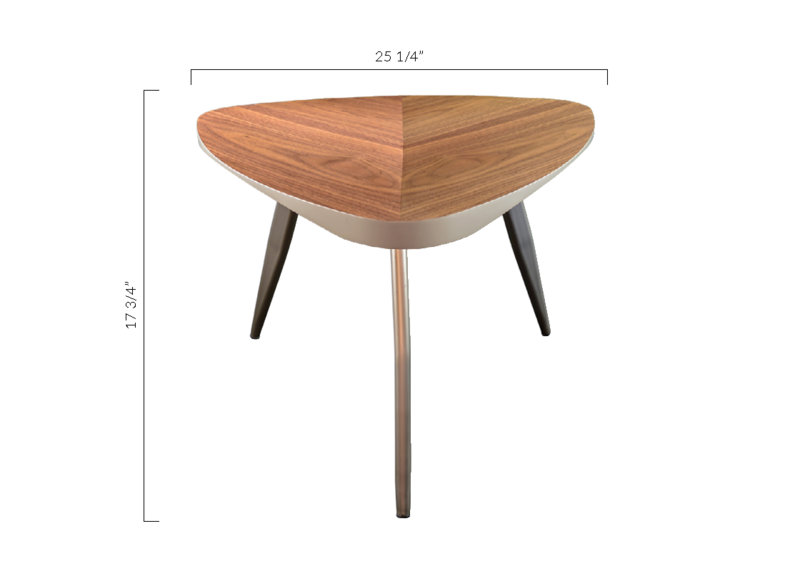 The Adelina Contemporary Small Coffee Table is crafted with chic style in mind. A textured walnut finish meets curved matte edges and metal legs for a touch of industrial elegance. If paired with the Emiliano Sofa, you can create the perfect living room to sit in and enjoy the Adelina Coffee Table. This piece comes in a larger size for larger spaces. L: 25 1/4" * W: 25 1/4" * H: 17 3/4"